VING welcomes requests for events that promote wellness, fitness, sports, TV & Film, equality, female entrepreneurs, women’s rights, environmentalism, animal rights, high profile celebrity parties, philanthropic affairs, parties that promote laughter and any other cutting edge events that promote all around goodness! We are hustlers but do need your submission at least two weeks in advance for smaller events and one month for larger events. We are only offering in-kind donations for pick up at this time for California and New York. If you are outside of CA or NY, please e-mail us. Your event is required by law to have 501(c) status or be a private party in order to serve alcohol. Or, please visit the Alcohol Beverage Control (ABC) Website for Special Event Application Forms. Event is responsible for serving only to attendees that are 21 and over. We know it's a work in progress but, give us your best guess! Any buzz going yet for your event? If outside is there shade or umbrella coverage?  Please describe your ideas and any guaranteed promotion for VING Vodka. Are Celeberties signed on to promote VING Vodka? Please let us know if and how you plan to feature VING Vodka and name the other brands currently signed on to your event. What are your requests for us? If not, please describe your needs for this event. If you would like VING to supply accoutrements or bartenders, please let us know your budget! Please give us the deets! Size and numbers of tables and chairs. Please give load in and out times. Note if there is valet and if you are compensating for valet parking. When do you need a commitment from VING? Please provide specific details for all Promotional items that were checked off from above. Team VING is excited to look over your details and will reply toot sweet! If you have a pitch deck or one sheet for your event please send it to info@vingvodka.com.